Editor's note: Through an oversight, we did not notate the edition from which this came. The Argus digital copies are not indexed so we have left the list without a date. It's probably from 1917. A reference to the 89th Division, 355th Infantry, is called for. 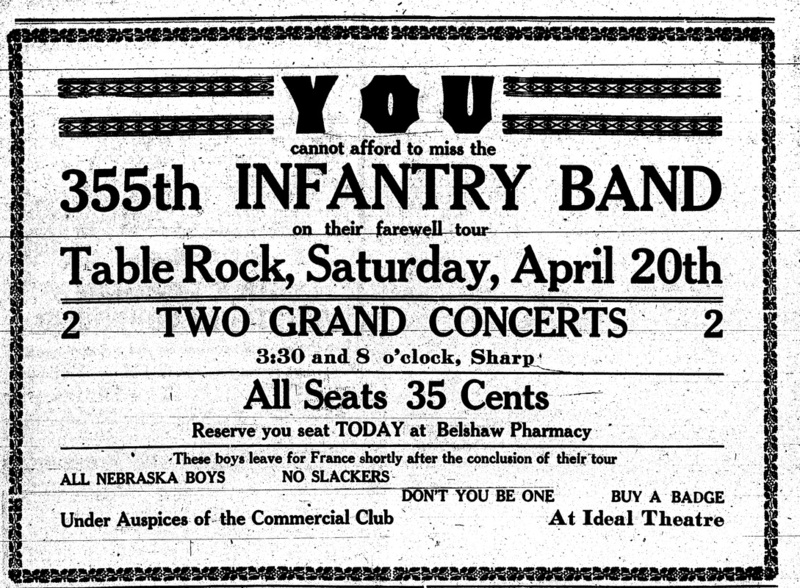 As described by James Olson in his book "The History of Nebraska," the 355th Infantry was a significant unit; in France during World War I, the 355th was known as "Nebraska's Own." The 89th Division, most assigned to the 355th, was known as the "Fighting Farmers" and respected for their ability to do with the physical hardships of the war as well as their courage. Table Rock residents including Harry Madden and Bill Vondrasek both belonged to the 89th Division and were assigned to the 355th Infantry. Ralph Aaron Bennington (1889 – 1918) , died of fatal lung damage after being gassed. ​Hugh DeHart (1891-1918) died in World War I.John L. Brown died died in the service while stateside pneumonia. Merrin Hays died in 1919 of the consequences of gassed. 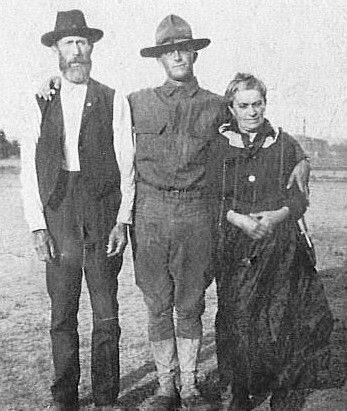 Emil Goodenkauf with parents Nick and Mary. Thanks to Sandi Knippelmeyer for this family picture! Harry Madden on the left, don't know who he is with. Kim Vrtiska shared this one. 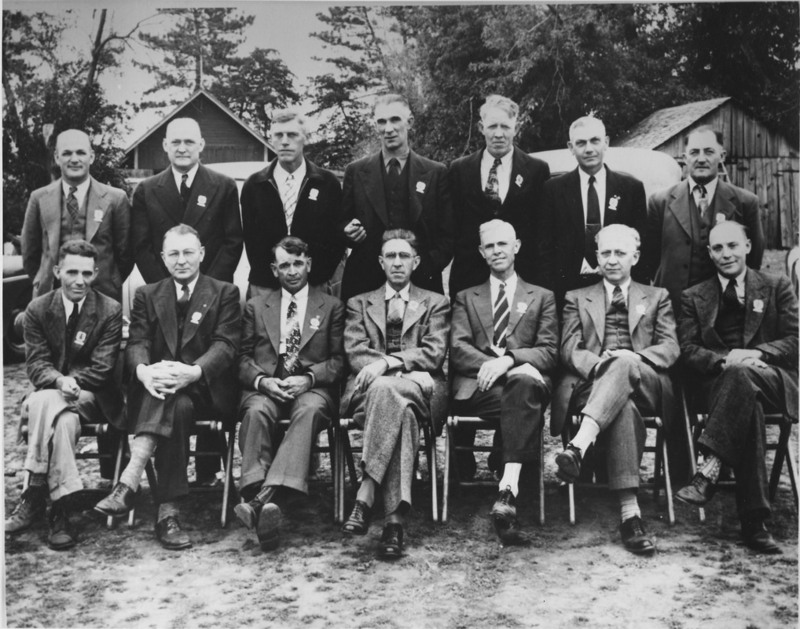 At a reunion of the 355th, Harry Madden is front row, third from the left. Photo donated by Ines Madden. Glen Mettlen high school graduation picture, Table Rock Class of 1916. From the 1919 Cornhusker Yearbook (University of Nebraska). The yearbook contained a section of students who were serving overseas. November 3, 1919 Lincoln Evening Journal. 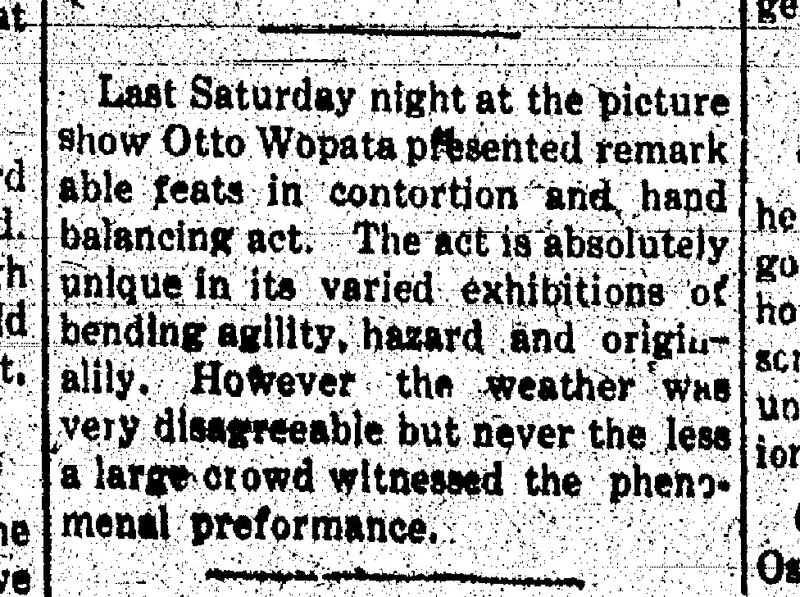 The same article appeared in the Lincoln Journal Star, same date. Glen's parent were William and Edith Kaufman Mettlen. 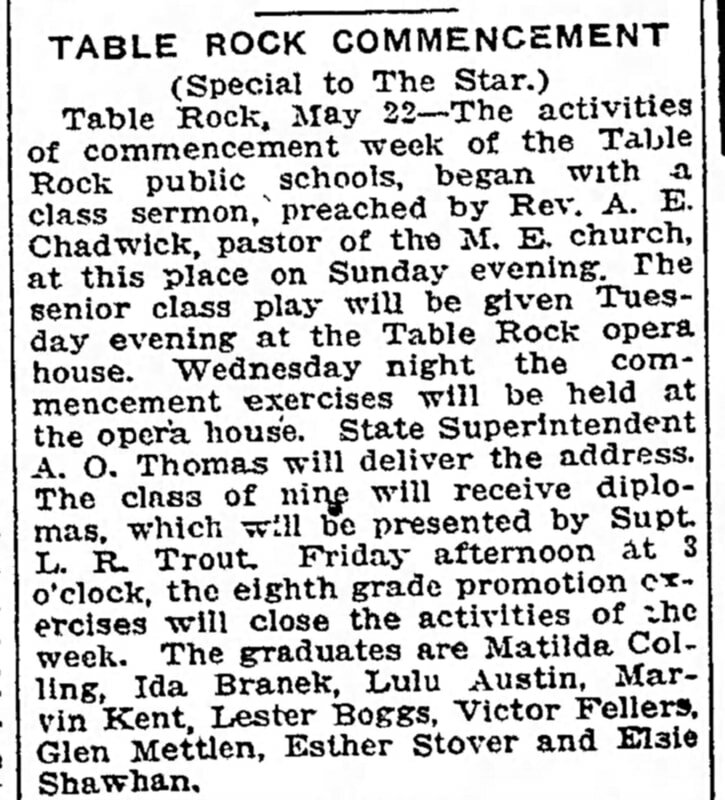 Glen graduated from Table Rock with the Class of 1916. 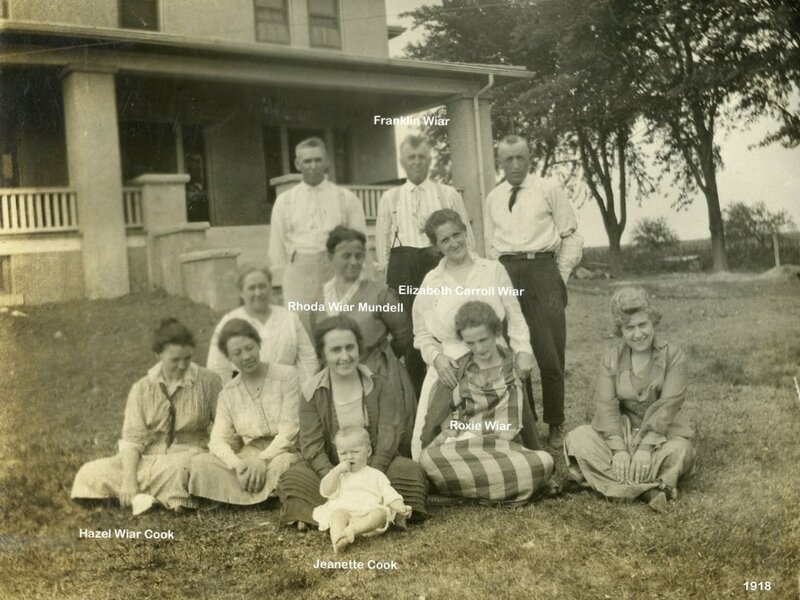 His classmates were Ida Branek, Lulu Colling Quigley, Lester Fellers, Marvin Kent, Elsie Shawhan Gleason, Matilda Shawhan Gleason, Esther Stover, and Victor Stover. 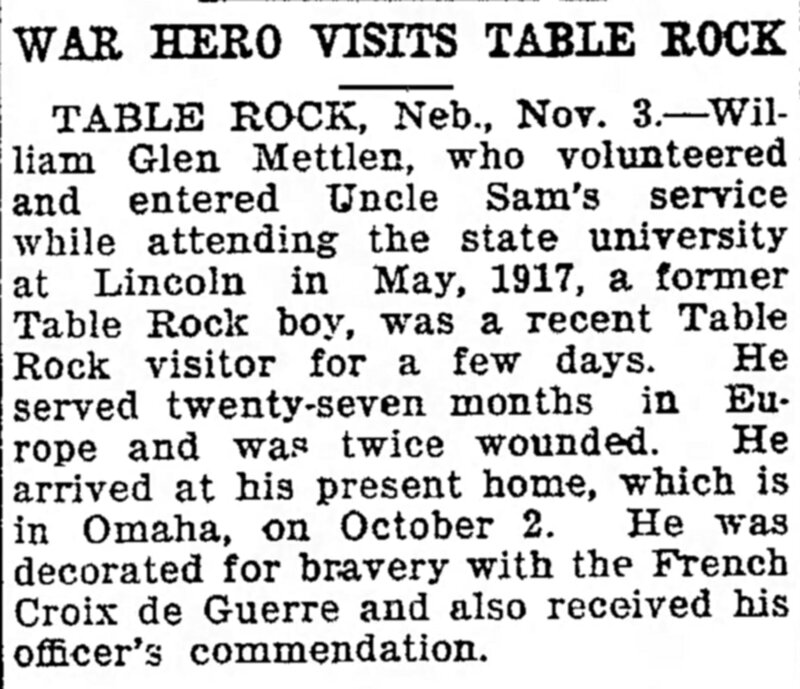 Glen served in the US Army during WWI. 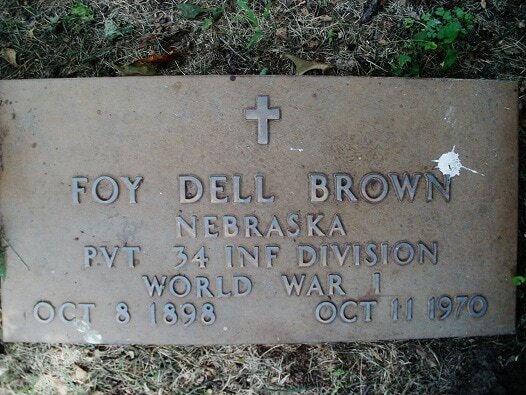 He enlisted on April 30th, 1917 while he was attending college at the University of Nebraska in Lincoln. 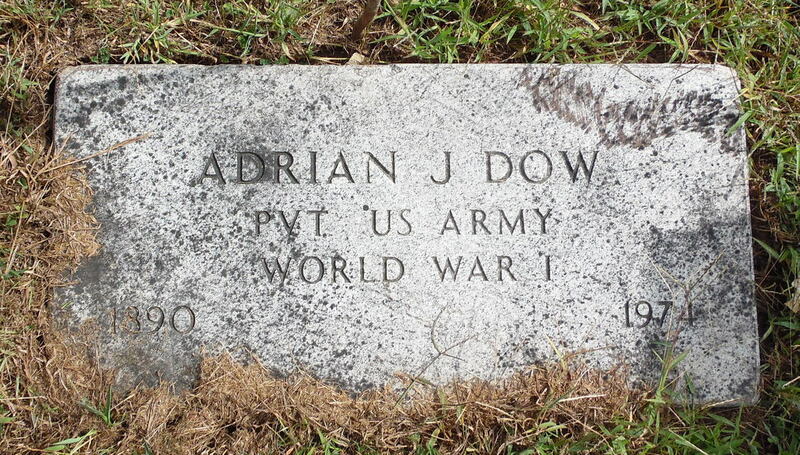 He served in Company M, 16th Infantry, 1st Division. He was the first of the soldiers to sail for France with General "Black Jack" Pershing. 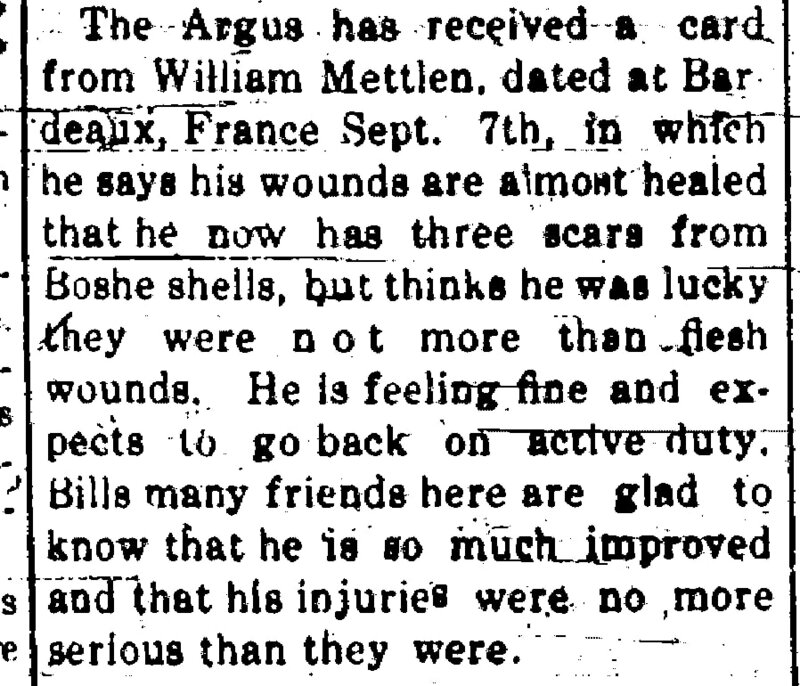 He was wounded on May 30th, 1918 in Villiers. He was again wounded on July 18th in the battle of Villiers at Cotteret Forest. He was severely wounded the second time by a high explosive shell striking his right arm and hip. He was in the hospital until October 15th, when he again rejoined his company. He married Marie Josephine Griess and they had a son William S. Mettlen. After WWI, Glen worked as a yardmaster for the railroads for many years. All of the Mettlen Family are buried in the same Masonic lot lot at Forest Lawn Cemetery in Omaha. 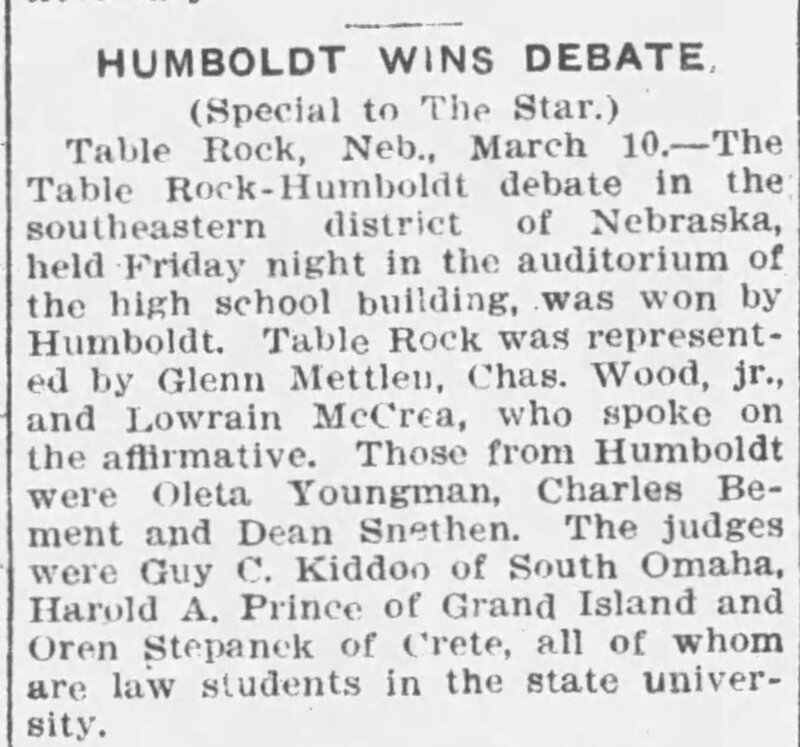 March 10, 1913 Lincoln Star. Charles Wood also served in World War I and thereafter lived a long life, dying in 1961 at the age of 66. Charles Wood's sister Emma Wood Cunningham was taught at Table Rock for many years. Lowrain McCrea became a doctor in Philadelphia and also lived a long life. 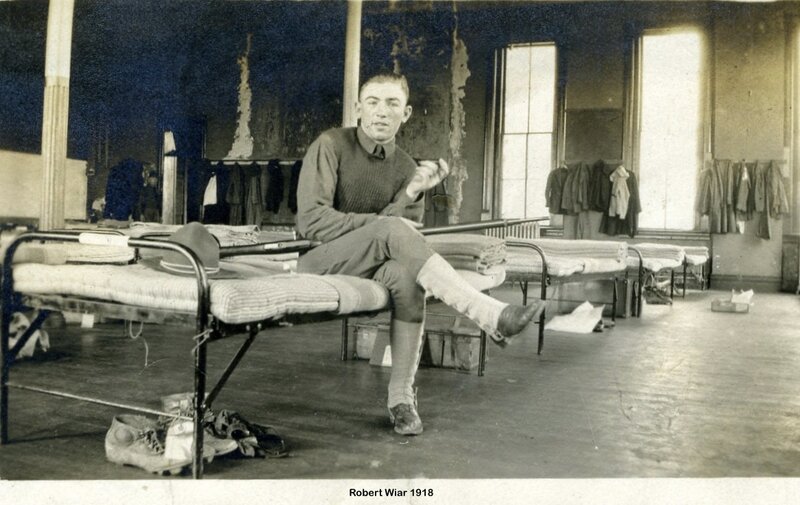 a ww I veteran "with overseas duty"
WAGONER SUP. CO. 334 FLD. ARTY. Funeral services will be held from the Wherry Chapel in Table Rock, Friday afternoon at 1:00 p.m. for Roy Francis Mundell, 69, who was accidentally killed Monday at Columbus. Services will be officiated by Rev. Harvey Richardson, and interment will be in the Table Rock Cemetery. Roy Francis Mundell, 69, of Columbus, Kansas, was accidentally killed Monday afternoon, March 8th, when a side section of a building he was razing fell and crushed him while he was working at a farm northeast of Columbus. 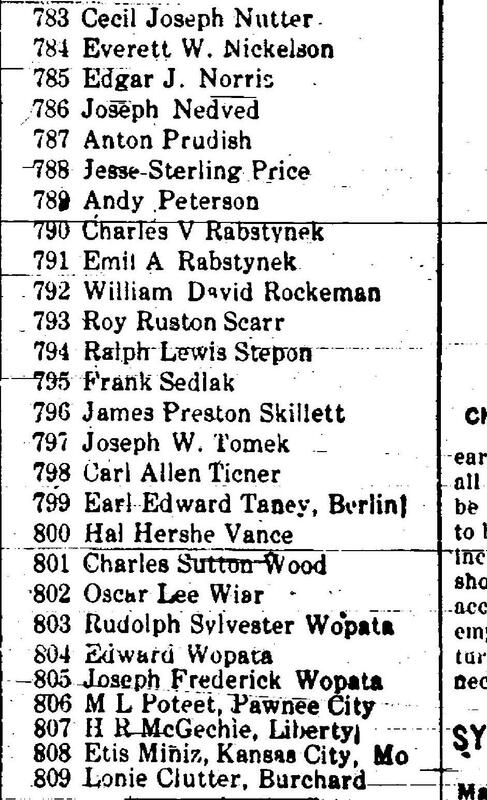 Mr. Mundell was born Mach 5, 1896 at Lucas, Iowa, the son of Frank and Elnora Wiley Mundell. He made his home in Nebraska before moving to Columbus in 1951. He followed highway construction work and was a concrete form setter. 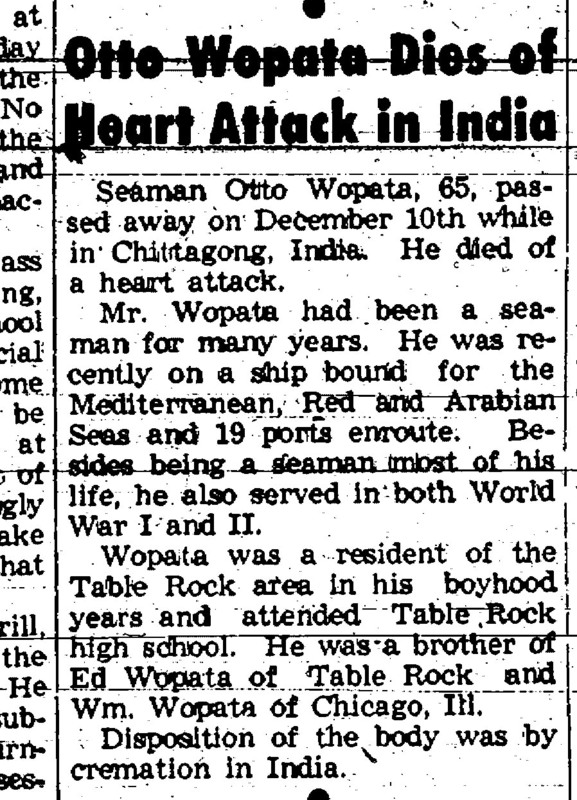 He was a veteran of World War I with overseas duty. Survivors are his wife, Mrs. Jenna Mae Mundell of the home; six sisters, Mrs. Jennie Baker of York, Nebr., Mrs. Grace Jacobs of Lincoln, Nebr., Mrs. Bonnie Terry of Cupertino, Calif., Mrs. Marie Shaffer of Campbell, Calif., Mrs. Myrtle Ready of San Jose, Calif., Mrs. Rena Reichmuth of Nebraska; and two brothers, Ray Mundell of Salensborg, Kansas, and Warren Mundell of Calif. NOTE: The birth date of his mother and his birth date, would make her only 11 when he was born. 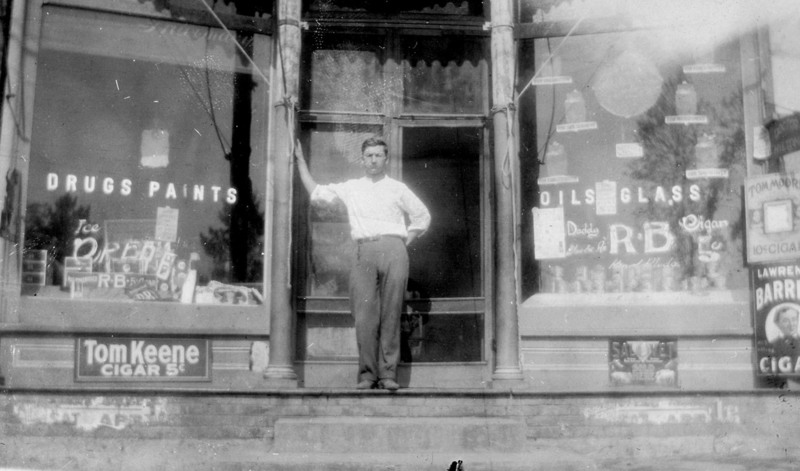 In 1915, the year he graduated, he worked at the Hylton Drug Store. Here he is. 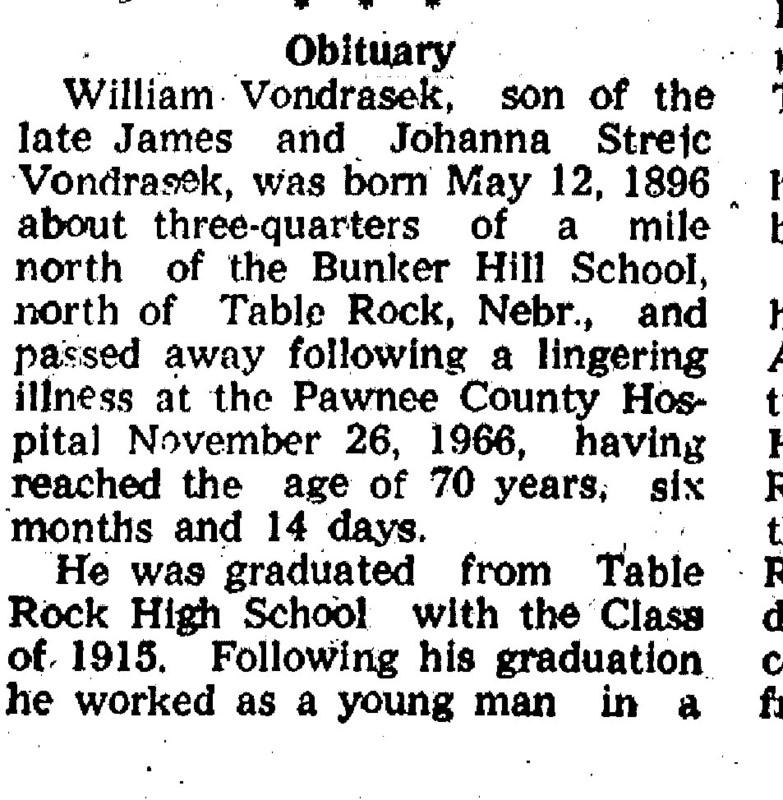 According to his obituary, he was a soldier who served in the 355th Infantry, 89th Division, in France and Germany. Here are two letters to his sister Emma Goodenkauf that were published in the December 6, 1918 Argus. In one, he says he can't write letters home "when we are the front because we have plenty of other things to do, like dodging shrapnel, etc. Ha ha." "I suppose the folks are ready to husk corn. I sure wish I was there to help, but I am too busy to get away." 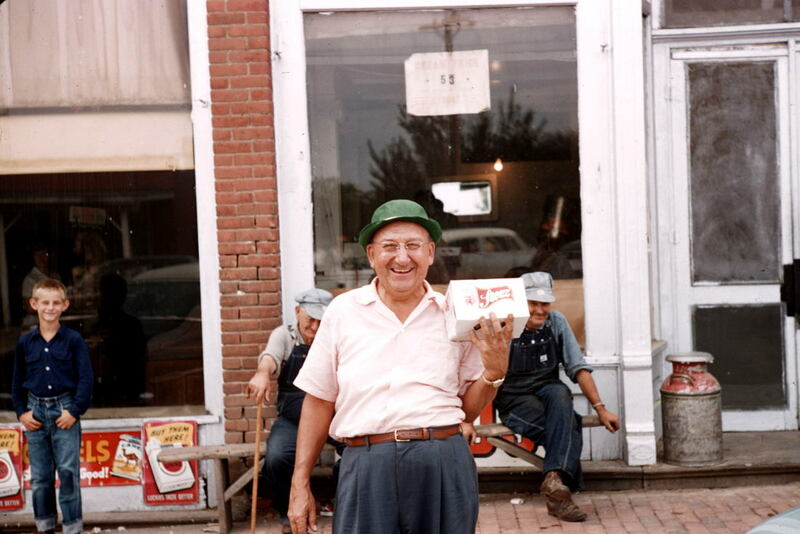 Bill Vondrasek on a Booster Tour of the area in the mid-1950s, photo by Edward Tomek. 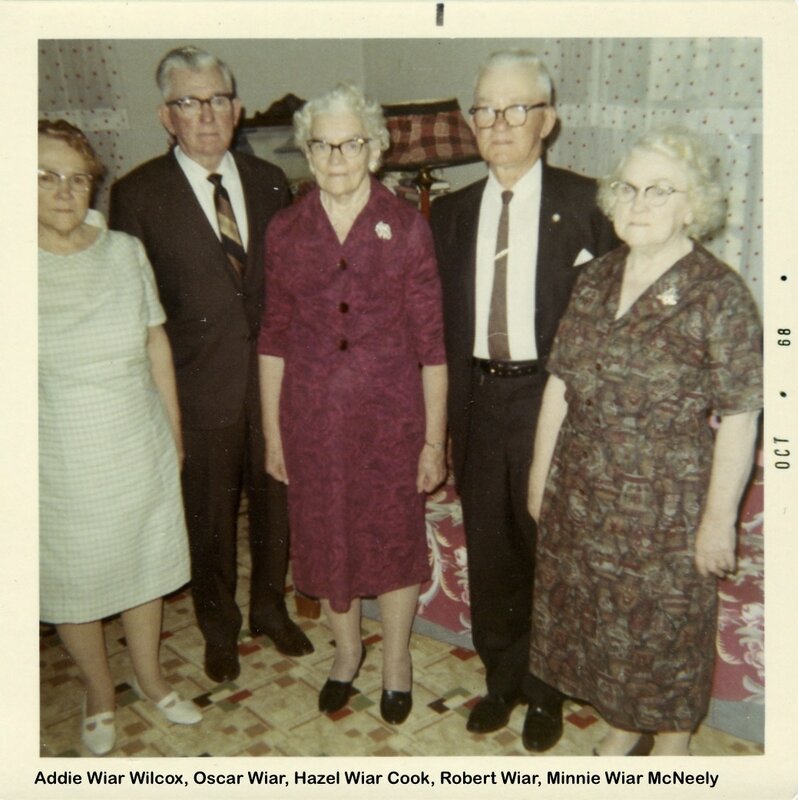 Oscar and Bob in later years, with sistersm Addie Wiar Wilcox, Hazel Wiar Cook, and Minnie Wiar McNeely. Archer King took this photograph of people celebrating the declaration of the end of the war, at the Pawnee County Courthouse. Photo 1615. 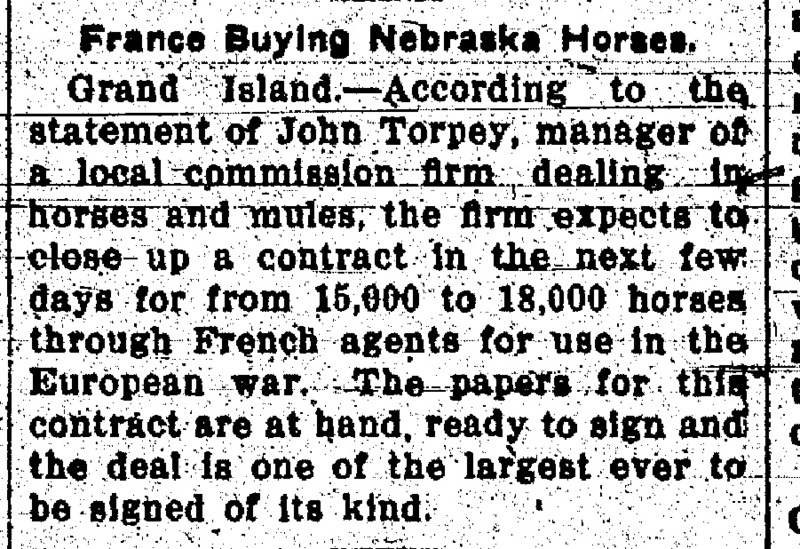 December 13, 1914 article in the Argus -- France is buying Nebraska horses for use in the war. 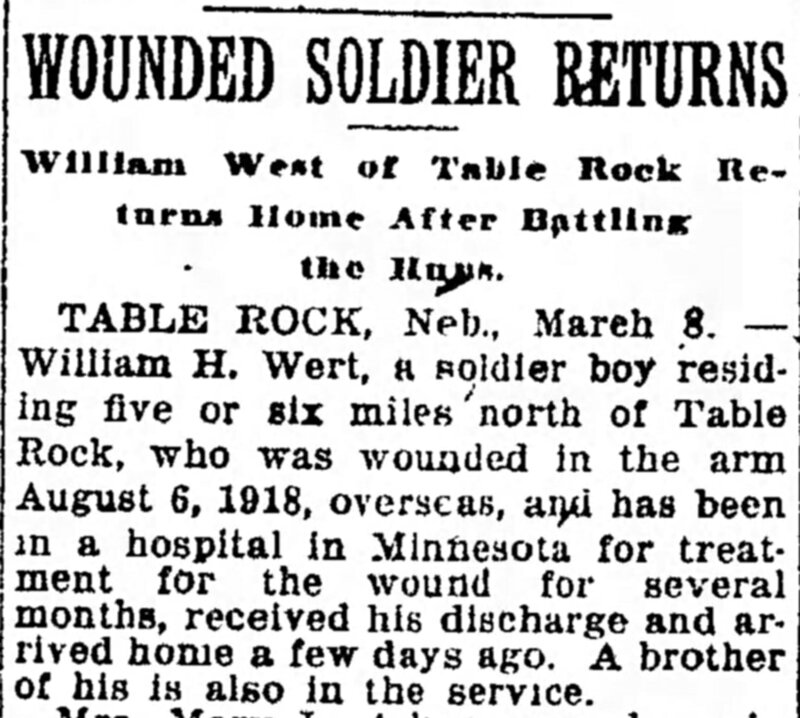 January 22, 1915 -- More horses needed for the war. Buyers are coming to Table Rock and other towns in the area, rain or shine. April 12, 1918. The 355th Infantry Band. When their band tour is done, they are off to France to fight in the trenches. "All Nebraska Boys. No Slackers."